Initial results from Turkey’s presidential election showed incumbent Recep Tayyip Erdoğan with a commanding lead, paving the way him to govern under a new constitution which grants the president new powers. His ruling Justice and Development Party (AKP) failed to win majority of the 600 parliamentary seats, while the “People’s Alliance,” formed by the AKP and Nationalist Movement Party (MHP), was projected to win 342 seats. 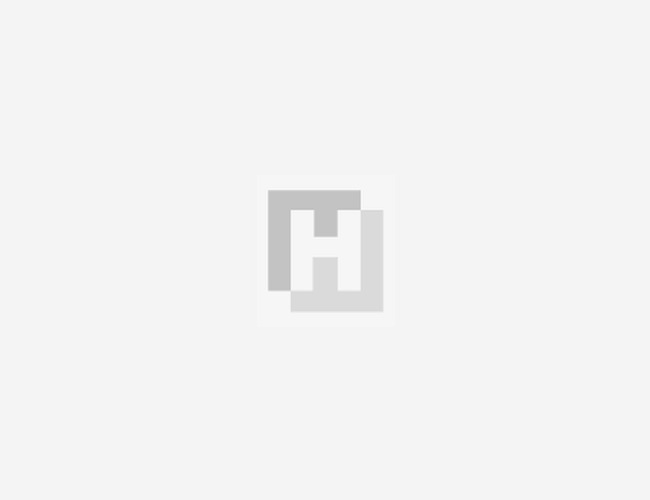 Hürriyet Daily News covered the Turkish election results of a historic vote as polls are closed across Turkey on June 24 and its aftermath on the early hours of June 25. 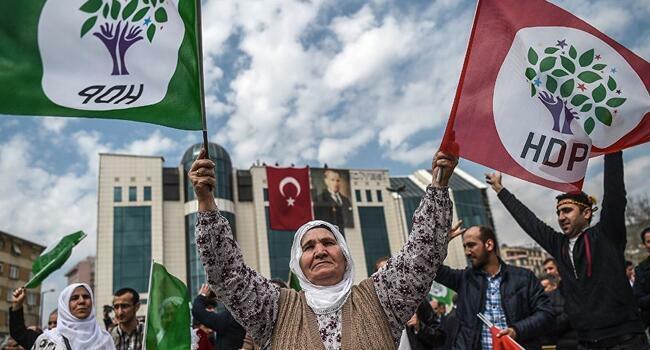 We published the live results, snap analyses and latest news about Turkey’s crucial elections. 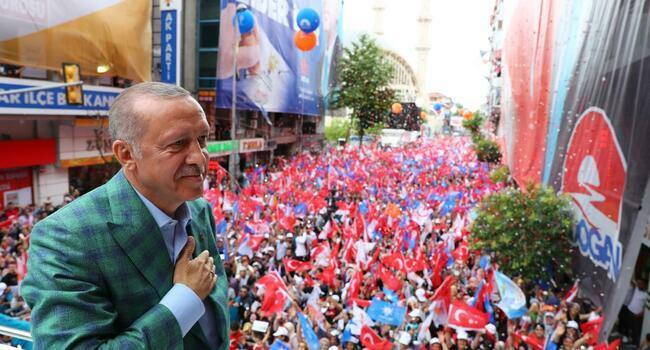 02.51 - President Erdoğan has addressed thousands of supporters in front of the ruling AKP's headquarters. "We never bow down in front of anyone, except God," he said. It was earlier reported that Erdoğan cancelled his victory speech, dubbed "balcony speech." Turkish President explained the crowd in Ankara that his speech was delayed because a 7-year-old supporter was injured in an accident in Istanbul during celebrations. 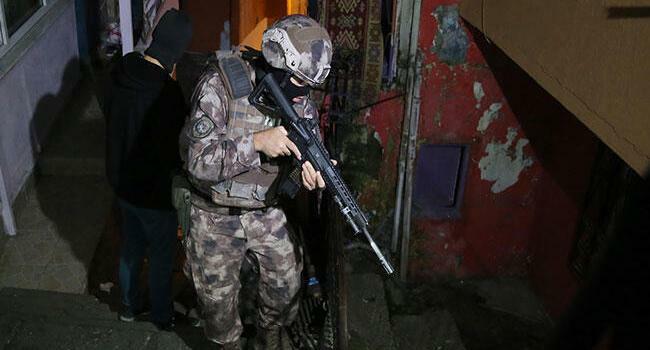 "You have given a lesson to those who wait for Turkey to kneel," he added. "The winner of this election is democracy, the will of the people, each one of our 81 million citizens," Erdoğan said, "We have also taken our lessons from these results. We will stand before our nation by fixing our shortcomings. We will keep our promises." 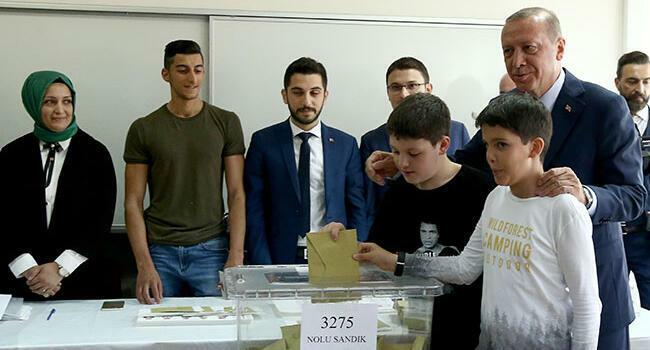 02.35 - The Supreme Electoral Board chairman Sadi Güven has announced that Erdoğan received the majority of the votes as 97.7 percent of the votes have been counted. "The number of votes that have not been counted yet is not enough to affect the outcome," he said. 02.23 - Prime Minister Binali Yıldırım has addressed his supporters in Ankara in a victory speech. "God bless you," he said, saluting martyrs, young voters, women and everyone who supported Erdoğan's election campaign. "It is a festival day today. It is Turkey's day. It is a day that 81 million people won and there is no loser," he said. "Quarrels of the election campaign are left in the past. The past has passed. It is time to say new things. It is time to come together with our differences, to be united, we are ready for it. It is time to embrace each other," he added. 01.20 - The main opposition CHP's presidential candidate Muharrem İnce has said in a tweet that he will speak at a new conference at the party's headquarters in Ankara on 12.00 p.m. today. 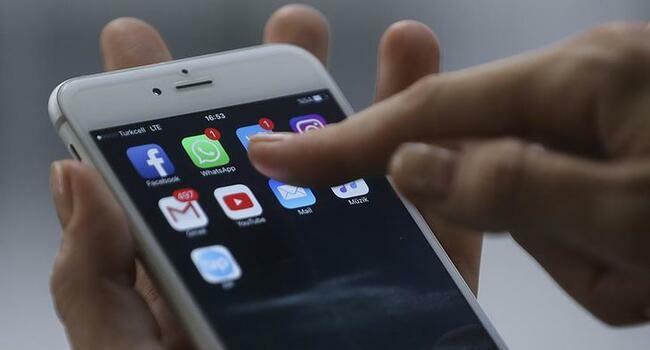 Journalist İsmail Küçükkaya from private broadcaster Fox TV told the viewers during his live program early June 25 that İnce sent an SMS to him, readin "the man has won", in reference to President Erdoğan. 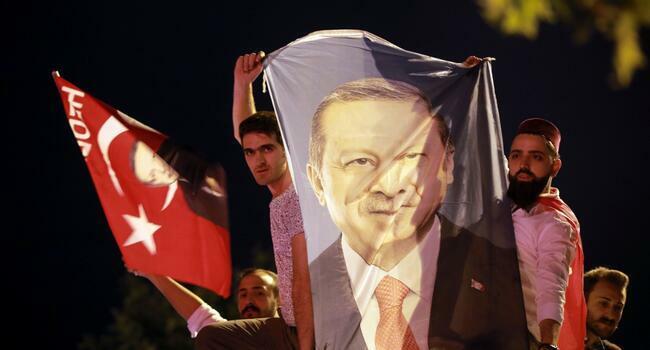 00.30 - Erdoğan has cancelled his victory speech, dubbed "balcony speech", in Ankara. According to his aides, a child supporter injured himself during celebrations in front of the presidential office in Istanbul and Erdoğan opted to visit him in hospital instead of going to the Turkish capital immediately. 00.05, June 25 - The main opposition CHP's presidential candidate Muharrem İnce has said that he will speak after the Supreme Election Board (YSK) releases the election results. So far, only state-run Anadolu Agency and the opposition's own tally system released results, but the YSK stayed silent. The vote-counting still continues in a number of polling centers. 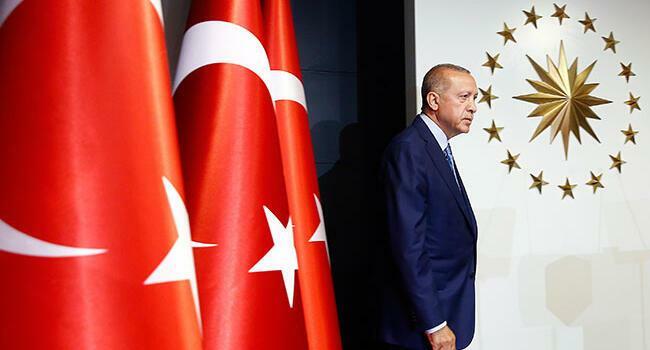 23.08, June 24 - "Mr. Recep Tayyip Erdoğan has been elected as the president of the new system in the first round, surprising those who expected a crisis. Our party stood firmly by Mr. Erdoğan and reached an important number of seats in parliament," MHP leader Devlet Bahçeli said, adding that his party is now "the key" in the parliament after this "historic success." 22.38 - President Erdoğan declares election victory. "According to unofficial results, our nation has given us the duty of presidency and the head of executive branch, while giving a majority to our People's Alliance, which is a great responsibility," he said. Thanking his supporters, Erdoğan also congratulated other presidential and MP candidates. "I hope no one will try to cast a shadow on the elections to cover up their failure," he said. "The message is clear: Turkey has given a lesson on democracy with a turnout that is close to 90 percent." Erdoğan later gave a brief speech to his supporters in Istanbul. "Our country will be very different. Although we could not achieve our targets in the parliamentary elections, God willing, we will strive there as the People's Alliance," he told them. 22.12 - While a number of news outlets claim Erdoğan won the election by a comfortable margin and AKP supporters celebrate in the streets, the opposition insists that millions of votes are yet to be counted. "Only 56.7 percent of ballot boxes have been opened so far. Erdoğan leads with 44 percent and İnce follow him with 40 percent," CHP MP Haluk Pekşen said. "The election is not over," he stressed. 21.23 - "Currently the Supreme Electoral Board's system shows that votes in 37 percent of ballot boxes have been counted. But Anadolu Agency data cited on television channels claim 85 percent of them have been counted," CHP candidate İnce said, calling on ballot box officials and supporters not to leave polling stations. 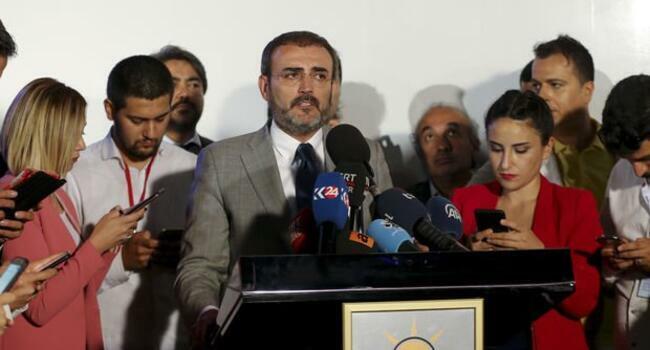 21.07 - "All votes, not only our own votes, are under our protection," ruling AKP's spokesperson Mahir Ünal said, adding that it was "unacceptable that Anadolu Agency is threatened by the opposition" during the vote-counting process. 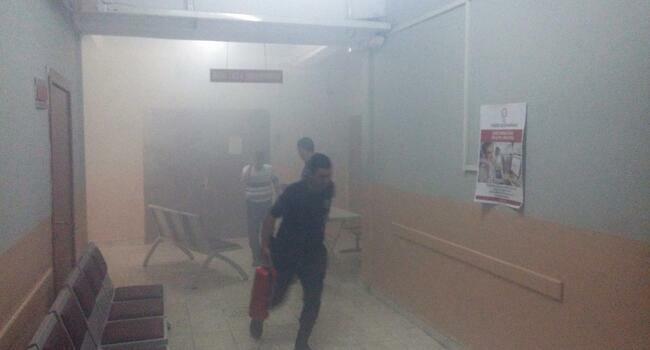 21.02 - A fire has erupted at the provincial electoral board headquarters in the central Anatolian province of Niğde. 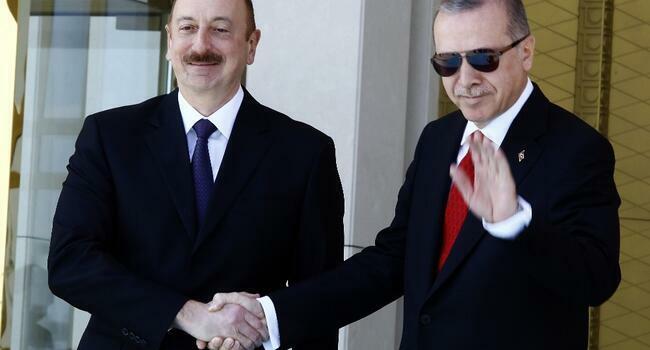 20.49 - Azerbaijani President İlham Aliyev also called Erdoğan to congratulate him 'over his success,' although the vote counting still hasn’t ended. 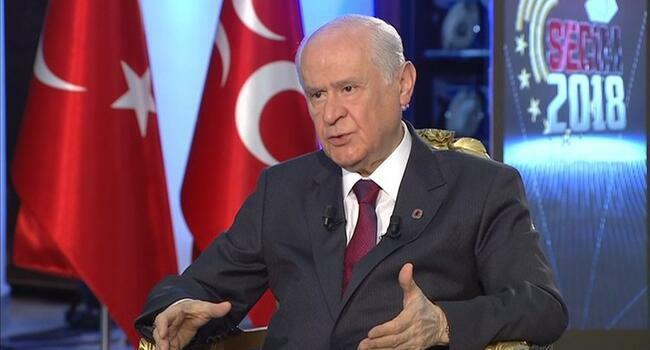 20.43 - Nationalist Movement Party (MHP) chair Devlet Bahçeli has called President Erdoğan "to congratulate him on the election success," state-run Anadolu Agency reported. 20.40 - The Kurdish issue-focused Peoples' Democratic Party (HDP) has passed the 10-percent threshold to enter parliament, as of 8:40 p.m., according to data provided by the state-run Anadolu Agency based on 72 percent of ballot boxes opened. Crossing the much-criticized threshold will grant the party seats in Turkey's parliament. The party’s jailed presidential candidate, Selahattin Demirtaş, is currently on course to receive 7.1 percent of the vote, Anadolu Agency reported. 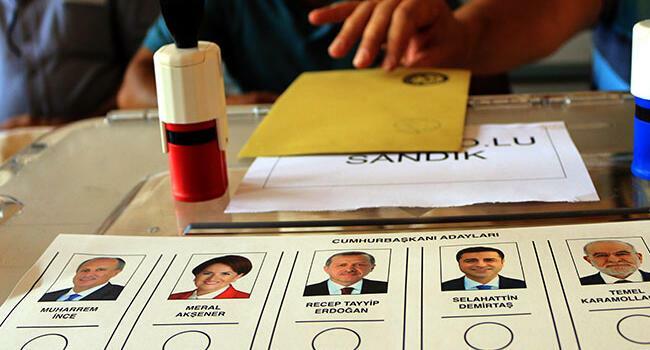 20.37 - A considerable majority of Turks who voted abroad endorsed President Erdoğan in the presidential election. 20.30 - As of 8.30 p.m. local time with 65 percent of the ballot boxes opened, according to the state-run Anadolu Agency, President Recep Tayyip Erdoğan is leading the presidential votes with 55 percent of the votes, while CHP’s nominee Muharrem İnce is following him with 29 percent. According to the opposition's own tally, however, Erdoğan is at 43 percent while İnce is following him with 34 percent. 20.05 - The governor’s office in the southern border province of Hatay has denied allegations that Free Syrian Army (FSA) members have voted in the city’s Defne neighborhood, following a social media post from a local journalist alleging that buses without license plates and with Syrian flags entered the neighborhood. 19.30 - As of 7.30 p.m. local time with 39 percent of the ballot boxes opened, according to the state-run Anadolu Agency, President Recep Tayyip Erdoğan is leading the presidential votes with 57.1 percent of the votes, while CHP’s nominee Muharrem İnce is following him with 28.2 percent. 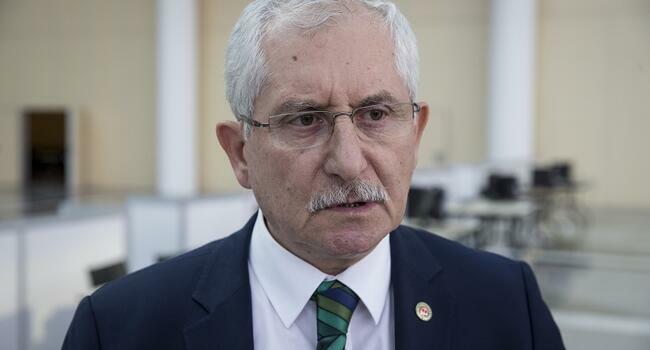 However, CHP spokesman Bülent Tezcan challenged the figures provided only by Anadolu Agency, accusing it of creating misperceptions about the election results. Tezcan said that according to their sources, Erdoğan is leading polls with 46 percent of votes, while İnce is behind him with 40.35 percent of the votes and 5 percent of 180,000 ballot boxes opened so far. İnce also accused Anadolu Agency of "manipulation," claiming that results from districts where Erdoğan won comfortably were released first. "Our representatives at voting centers should not leave their posts," he added. 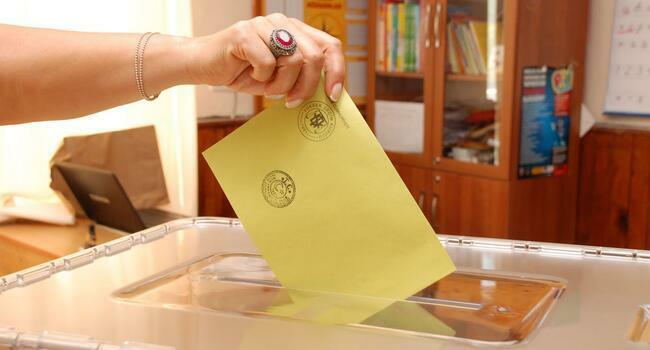 18.45 - The Supreme Election Board (YSK) has lifted the ban on publication and broadcast of election results. 18.18 - The main opposition's presidential candidate İnce has tweeted for the first time after vote-counting began. "The first results have come in. I am smiling," he said. 17.49 - President Erdoğan is following the results at Istanbul's historic Huber Mansion, which houses a presidential office. "It is too early to say anything, but we are good," he has just told reporters, as the vote-counting proceeds. 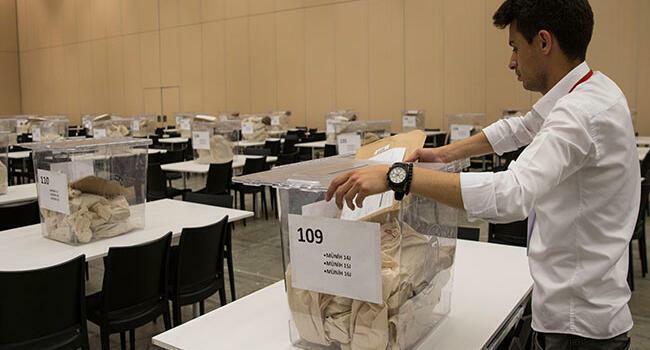 17.45 - Ballots cast for the presidential candidates are now being counted first. If there is no mathematical need to go to a second round, which would take place on July 8, the president will be named first. The parliamentary votes will be counted second and are expected to take longer than usual, as parties up for office are entering the vote in two electoral blocs. The YSK has said that although the calculations for the alliances seem complex, the procedures will be rapidly and automatically handled through software designed by the YSK. 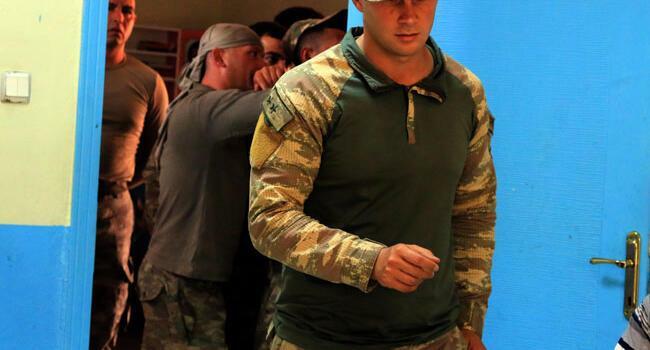 17.22 - Turkish military personnel deployed in Syria’s northern district of Afrin also cast their votes in Turkey’s southern border province of Hatay. 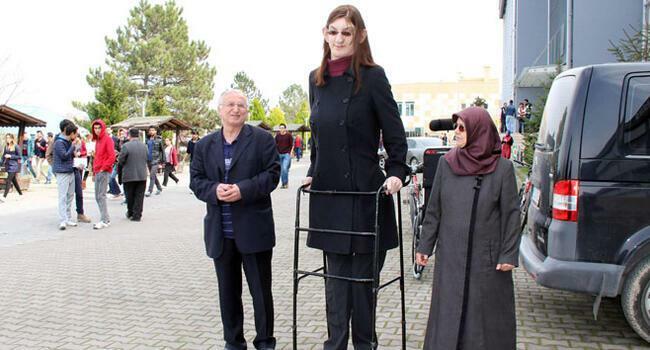 17.14 - The one-time world’s tallest teenage girl were among those who voted in Turkey’s elections today. 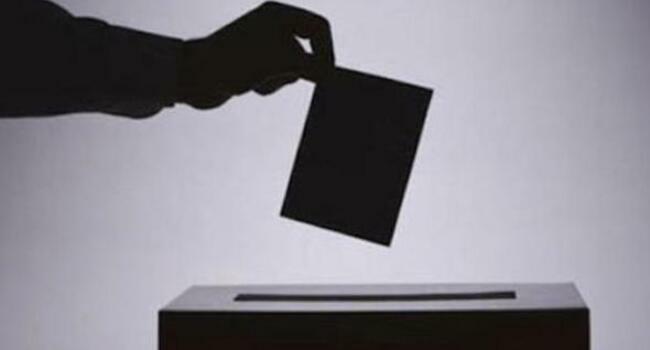 17:00 - Polls close for Turkey’s high-stakes presidential and parliamentary elections on June 24 to complete the country’s transition to a new executive presidential system that was approved in a tight referendum last year. 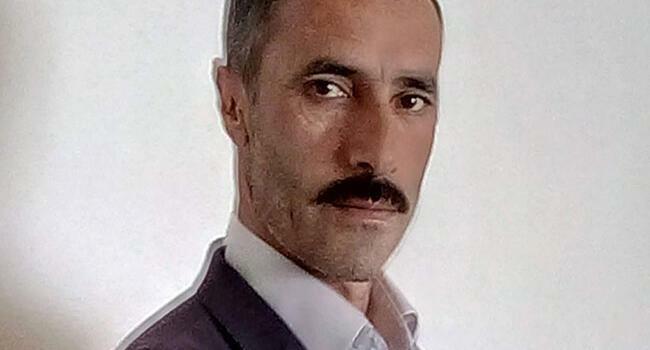 16.51 - Mehmet Sıddık Durmaz, a local representative for the İYİ (Good) Party from the Karaçoban district of the eastern province of Erzurum, was shot dead during the voting process on June 24, his party has announced. 16.41 - The main opposition Republican People's Party (CHP) presidential candidate, Muharrem İnce, spoke to reporters in front of the Supreme Election Board (YSK) headquarters in Ankara. "Whatever they do, we will win. Voting center representatives should not leave their posts. We are here to realize the nation's will," he said. 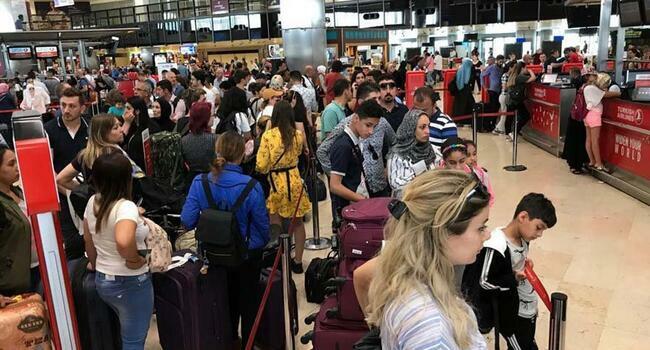 16:16 - Thousands have filled the terminals of Istanbul’s Atatürk Airport on June 24, the day of Turkey’s landmark snap presidential and parliamentary elections. Citizens have returned from their vacations to be able to cast their votes in the elections. 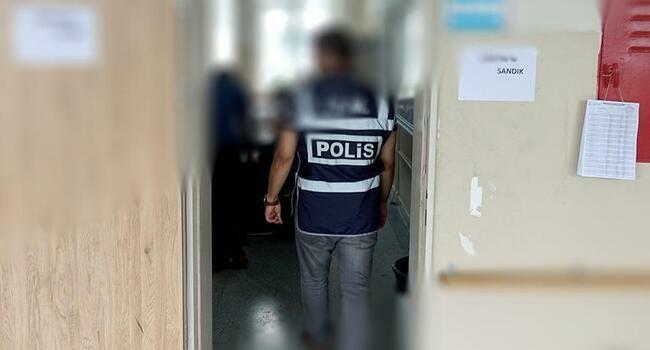 15:37 - Legal proceedings were started on June 24 against 10 foreign citizens “who posed as election observers and attempted to interfere with the election,” according to Interior Ministry officials, state-run Anadolu Agency reported. 14:34 - Some 17,258 disabled and elderly voters have cast their votes from their houses and hospitals via mobile ballot boxes. 14:00 - All leaders of political parties, including President Recep Tayyip Erdoğan and the main opposition’s presidential candidate Muharrem İnce, have cast their votes so far. 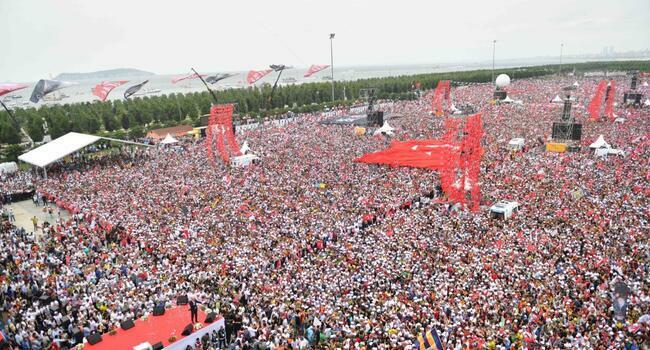 “The turnout seems good,” said Erdoğan. 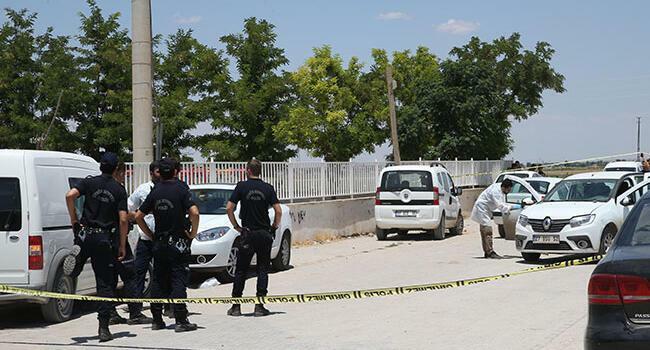 13:37 - Turkey’s Supreme Election Board (YSK) has announced that it will look into complaints regarding election safety issues in the Suruç district of the southeastern province of Şanlıurfa following claims of vote-rigging. Four people were detained. 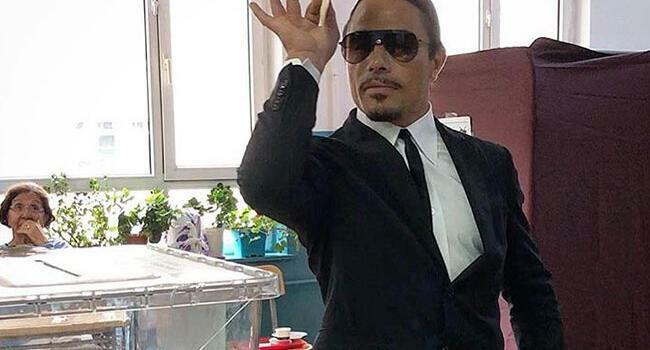 12:17 - Turkish celebrities, including Nusret Gökçe, globally known as “Salt Bae,” have cast their votes, sharing photos at the ballot boxes on social media. 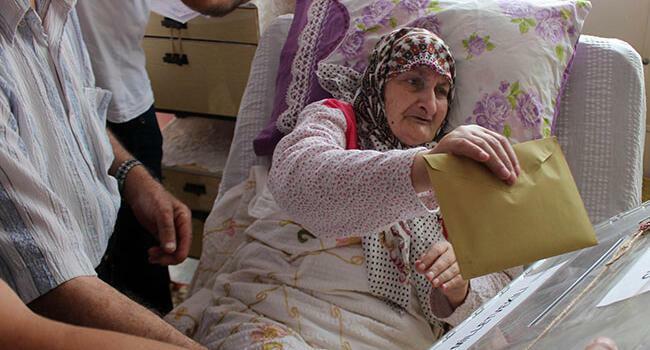 08:00 - The voting process for 56.3 million registered citizens in all 81 provinces of Turkey started at 180,065 ballot boxes across the country. For the first time, the presidential and parliamentary ballots are placed in a single envelope. While two broad electoral alliances are entering the parliamentary elections, six names are running for the presidential office. President Recep Tayyip Erdoğan is up for the seat from the “People’s Alliance,” racing on behalf of the ruling Justice and Development Party (AKP) and the Nationalist Movement Party (MHP). Muharrem İnce is running from the main opposition Republican People’s Party (CHP) and jailed Selahattin Demirtaş is running from the Kurdish issue-focused Peoples’ Democratic Party (HDP). 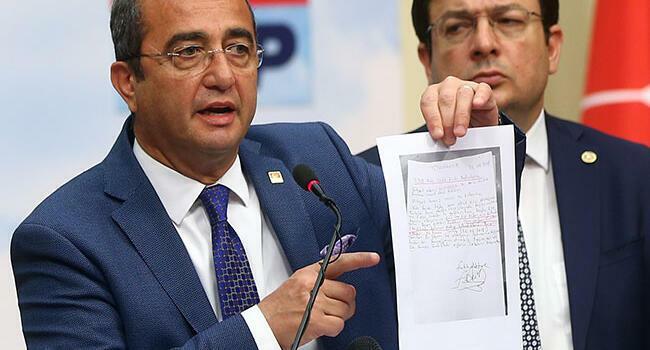 İYİ (Good) Party leader Meral Akşener, Felicity Party (SP) leader Temel Karamollaoğlu and Patriotic Party (VP) leader Doğu Perinçek are also running for the post after collecting 100,000 signatures from citizens to be nominated. As his requests for release have been rejected by courts, Demirtaş recently became the first politician in Turkey to make a campaign speech from prison, addressing voters through his wife’s phone on June 6. 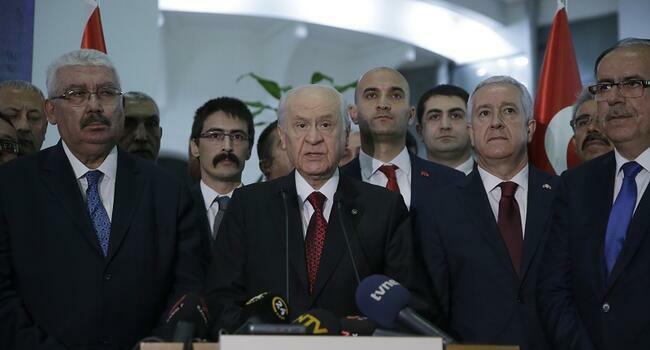 The landmark election day was rescheduled to a year-and-a-half before its original date following a joint proposal made by Erdoğan and MHP leader Devlet Bahçeli on April 18. After parliament approved the bill on April 20, the two leaders declared they would enter both elections in a “People’s Alliance,” officially launched on May 1. For the first time in Turkish history, political parties will go to elections by forming alliances as ballots will bear the name of the alliance juxtaposed to that of the candidates whose parties have decided to proceed with forging an alliance. In the parliamentary run, the AKP-MHP bloc will be up against the “Nation Alliance,” an electoral formation including the CHP, İYİ Party, and the SP. In Turkey, a political party must receive 10 percent of the votes nationwide for any of its candidates to win seats in parliament. According to the new rules, only the alliance needs to pass the much-criticized 10-percent threshold in order for the parties to claim seats. On Election Day, media organizations will not be allowed to broadcast any political advertising, predictions or comments about the elections until 6 p.m. 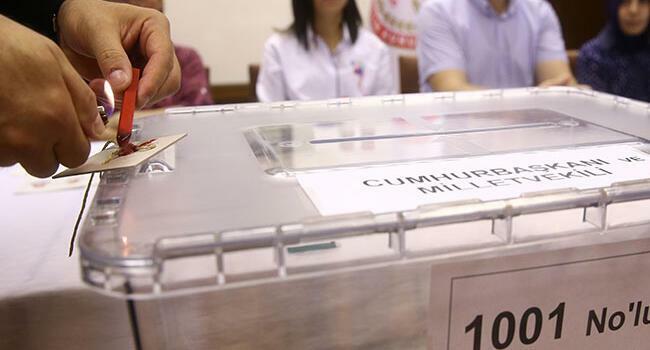 Between 6 p.m. and 9 p.m., media outlets will only be able to publish official announcements about the elections issued by the Supreme Elections Council (YSK). Alcoholic beverages will not be sold from 6 a.m. to midnight, while consumption of alcoholic beverages will also be prohibited in public places.